There aren’t many major races in Australia where your GA ticket gets you so much access than the 12-hour. From the back of the pits, to the top of the mountain you can access most of the precinct with just the one ticket. And great on-course commentary, big screens and close viewing mean you see and hear it all. What’s more, if you don’t want to sit on the grassed banks, there’s two ticketed grandstand options on pit straight – one of them covered. The grandstand seats provide a great view over the start finish line, pit lane and turn one – and have their own big screen opposite to follow the action the rest of the lap and the race. 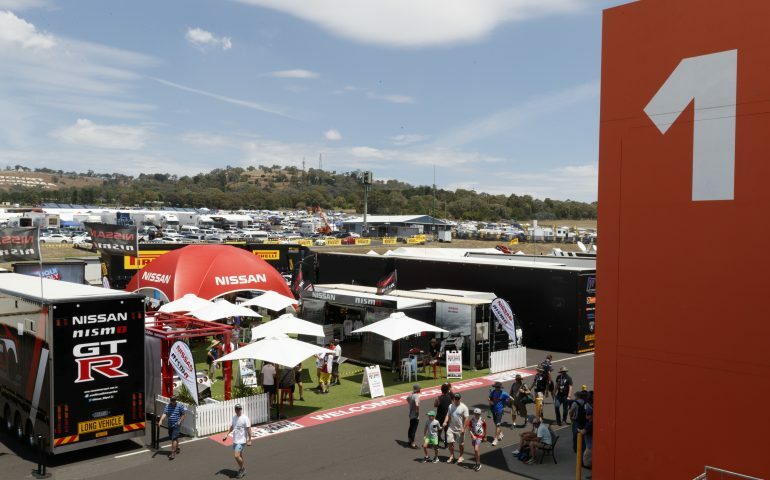 The Bathurst Camping tradition continues at the 12-Hour, with sites in the paddock or up on top of the Mountain hugely popular options (with a lot of it already sold out – click here to see where you can still grab a spot!). There’s even Glamping on the top of the mountain in the B12hr Tent City sites, where you can have all the fun of camping with a comfy bed and more! In 2018 there will be a broader array of food and drink options, including the return of our popular Heineken Bar from 2017!